Geomorphologists now play a key role in many professional spheres, such as in the water industry, environmental and engineering consultants, and national and local government. 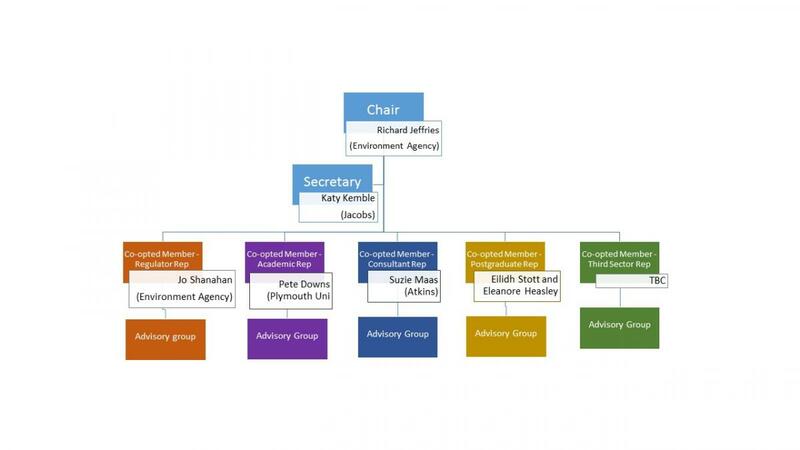 The purpose of the BSG Committee for Professional Geomorphology is to lead, support and improve the discipline of applied professional geomorphology. We aim to link researchers with practitioners so that the latest geomorphological science is applied to help currrent issues. The committee is creating a friendly professional network of geomorphologists to share technical knowledge and experiences, and to help people develop their career in this fascinating and essential discipline. Whether you're a researcher, undergrad or postgrad, consultant or regulatory geomorphologist, we'd like to help you. 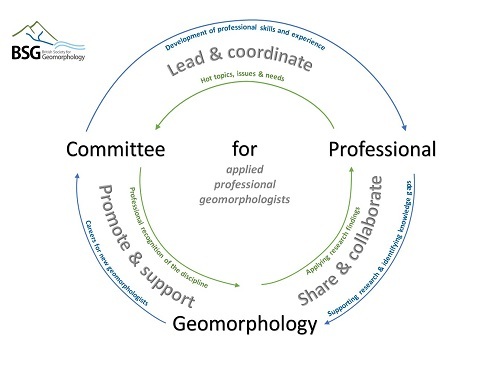 Connect professional applied geomorphologists by organising meetings, workshops and events to share good practice and to support each other. We encourage professional applied geomorphologist members of the BSG to become Chartered Geomorpholologists CGeog (Geomorph) http://www.geomorphology.org.uk/cgeog-geomorph. Representatives for postgraduates: Eleonore Heasley and Eilidh Stott. The representative for third sector organisations is to be announced. If you're interested in this position please get in touch. Please contact us for further information bsg@geomorphology.org.uk.